This entry was posted in applescript, indesign, scripting lesson and tagged adobe, applescript, automation, how to, InDesign, print, printing, tutorial by macgrunt. Bookmark the permalink. 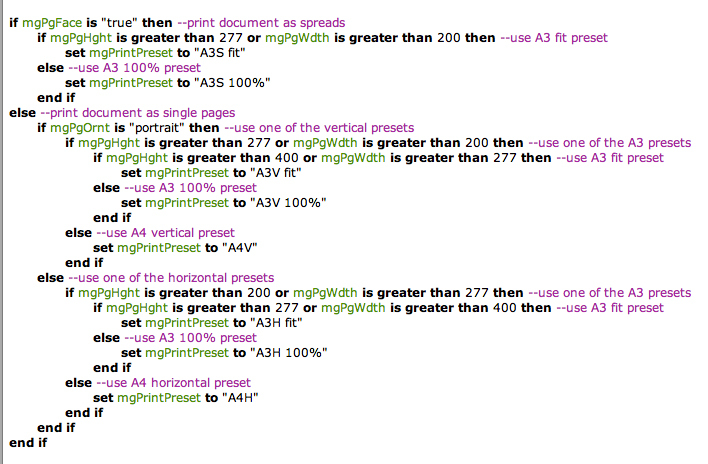 What do you do if you have multiple layouts within a document (CS6)? (example 10 pages of portrait and 10 pages of landscape) I want to be able to print (not export) to 1 PDF document and my laser printers in 1 click…. For printing you’d have to get the measurements page-by-page. If you wanted the printout to stay collated, you’d have to print page-by-page too, otherwise you could compile lists of page numbers based on their dimensions and then print batches to the various print presets (if you’re happy to hand-sort the pages later). 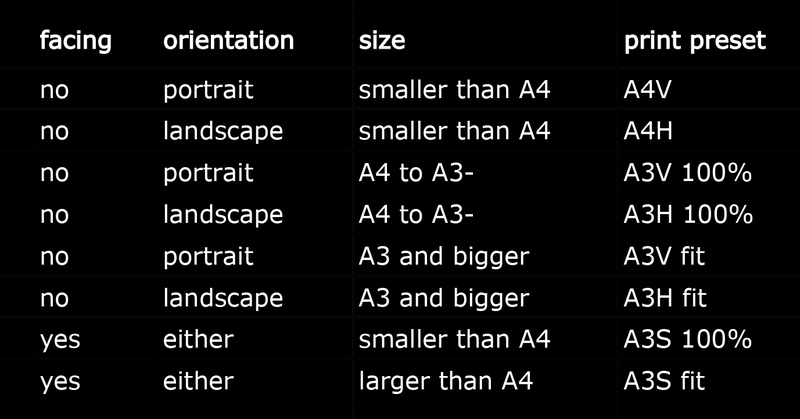 Pages don’t have dimensions, they have bounds and you have to work out the dimensions from there. 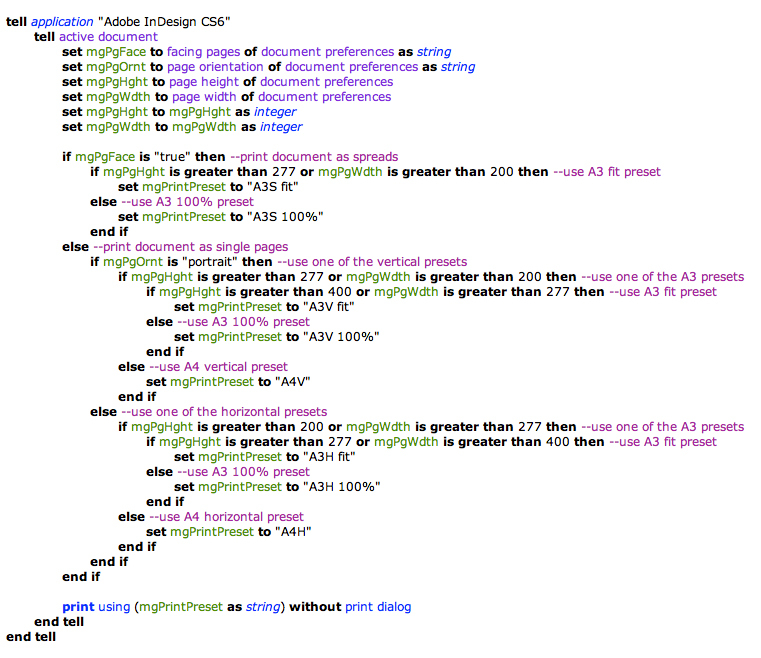 I’m not sure why (or how) you’d print a PDF instead of exporting.